The New York State Association of World Language Administrators (NYSAWLA) offered a two-day professional learning conference co-sponsored by the New York State Education Department’s (NYSED) Office of Bilingual Education and World Languages (OBEWL) on February 27th and 28th in Smithtown, NY. The conference was facilitated by Paul Sandrock, Director of Education for the American Council on the Teaching of Foreign Languages (ACTFL). 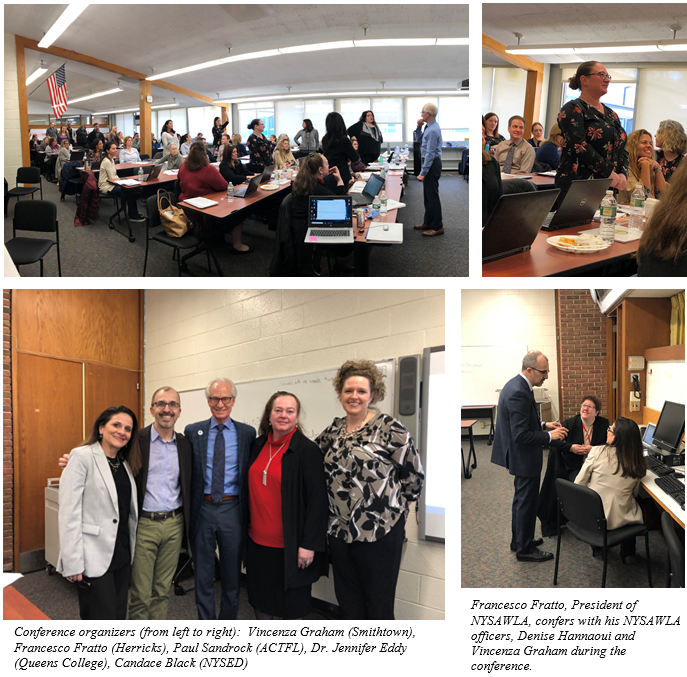 This two-day event welcomed more than 90 world language administrators and lead teachers representing 89 educational institutions from the Long Island and New York City regions. During this workshop, which was also live-streamed, Mr. Sandrock led the group through the World Readiness Standards as well as major shifts in world language curriculum, assessment and instruction.